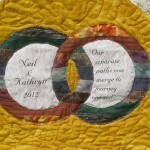 As promised, I am back to talk more about the commissioned quilt for Neil Diamond and Kathryn. 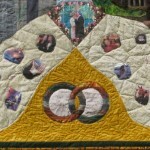 The center of the quilt contains two paths that converge in a diamond shaped photo of the couple together in marriage. Each path contains photos that relate to special events that touched on each of their lives separately and some photos as a couple. There are photos of Neil early in his life as a fencer and a performer. There are some current photos of Neil in concert. There are some photos of Kathryn in her younger days and some current shots of Kathryn riding a horse and taking photographs. 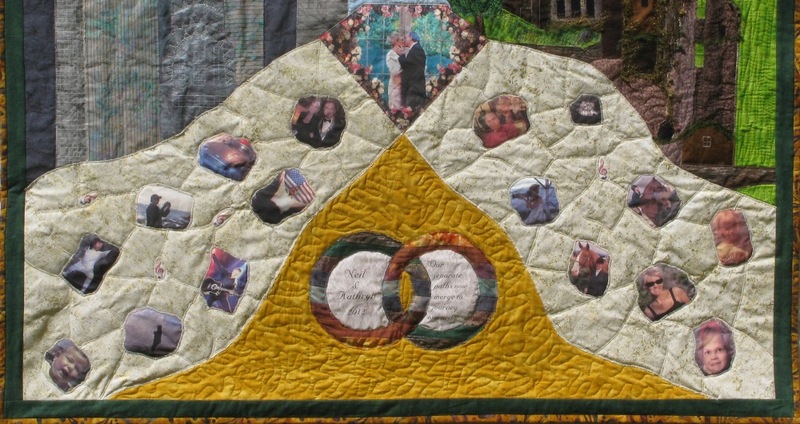 Finally the bottom center of the quilt contains a well known quilt pattern called “Wedding Rings”. 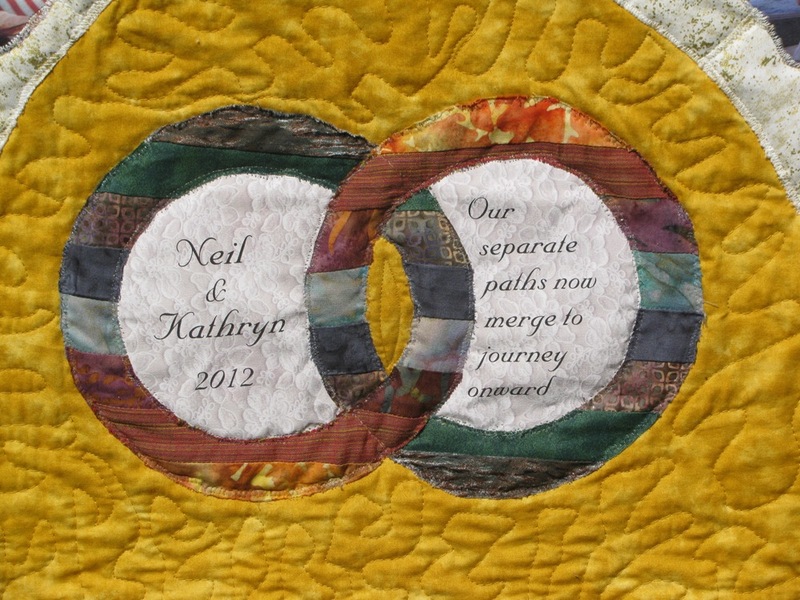 Within the rings are the words “Neil and Kathryn 2012” and “Our separate paths now merge to journey onward”. Now that I have taken you through the journey of this wonderful project, here is a photo of the finished quilt. I hope you enjoyed my story. I wish Neil and Kathryn many years of happiness together!